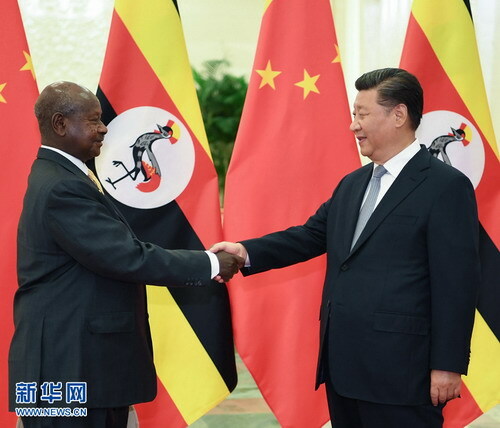 BEIJING, Sept. 6--Chinese President Xi Jinping on Thursday met with Ugandan President Yoweri Museveni after the 2018 Beijing Summit of the Forum on China-Africa Cooperation (FOCAC) on Sept. 3-4. Calling Museveni a longstanding China-Africa cooperation promoter and participator who has made important contributions to FOCAC development, Xi said China has always considered Uganda a key cooperation partner in Africa. China stands ready to work with Uganda to strengthen exchanges of governance experience, especially in poverty reduction, implement key infrastructure projects, help Uganda accelerate industrialization, and enhance cooperation in areas such as people's livelihood, Xi said. He said China supports Uganda in playing an even bigger role in maintaining regional peace and stability and is willing to strengthen communication and coordination with it in international and regional affairs. Noting that the people of Africa will never forget their profound friendship with the Chinese, Museveni said Africa needs to strengthen cooperation with China in the process of African integration. Museveni said Uganda thanks China for its assistance in Uganda's social and economic development, especially in infrastructure construction, which has remarkably raised the country's economic competitiveness. 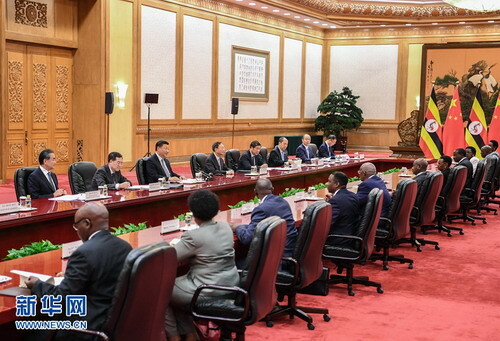 Uganda is willing to work with China on deepening cooperation in areas such as transportation, industrial parks, power supply, human resources, and on strengthening communication and collaboration in international affairs, Museveni added.